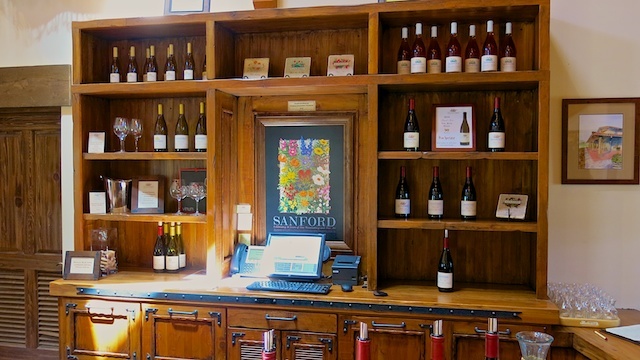 Sanford was the first winery in Santa Barbara County to plant Pinot Noir. 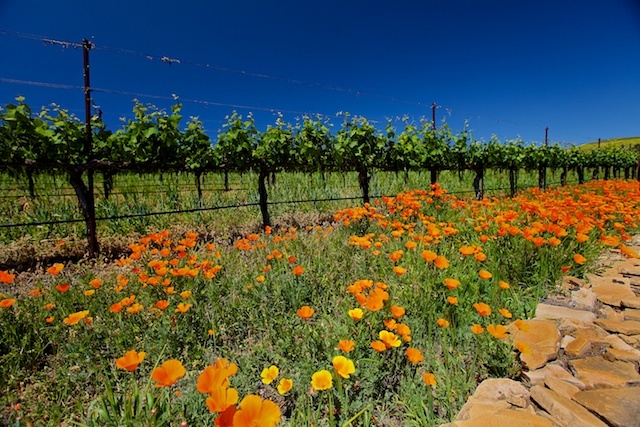 Situated in the Santa Rita Hills area, south of Lompoc and west of the 101, Sanford has two main vineyards. The Sanford Benedict Vineyards consist of 135 acres of vineyard planted mainly with Pinot Noir and Chardonnay. Rancho la Rinconada consists of 130 acres planted with both varietals as well. 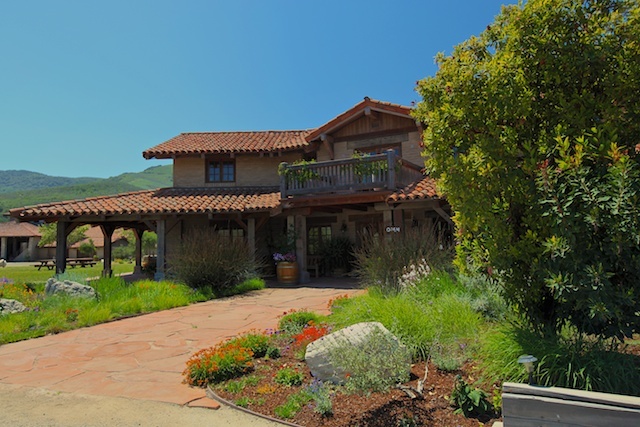 The main winery was built in 2001 with adobe bricks made by Sanford employees. The winery sits amongst the vineyards of Rancho la Rinconada. Sanford also has a tasting room in the La Arcada Plaza in Santa Barbara. Our favorite wines during our visit were two of their white wines, the 2009 La Entrada Chardonnay and the 2010 Sanford & Benedict Viognier. Both of these wines are only available at the winery. 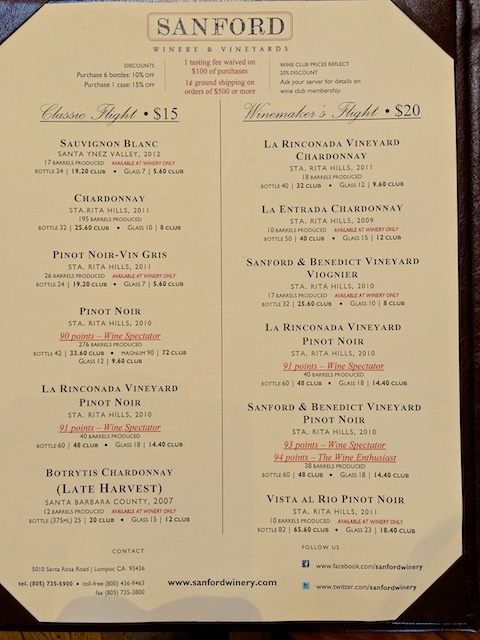 Our favorite red was the 2010 Sanford & Benedict Pinot Noir. This outstanding Pinot was rated 93 points by Wine Spectator. During our visit, we only visited the tasting room and did not visit the cellars.